Combine an American tradition with contemporary lighting and you'll get our charming 18" Barn Light Shade. Featured here on a straight gooseneck arm, this large commercial fixture is the ideal light for big signs and exterior building lighting. And an all-aluminum construction finished in rust resistant powder coated paint ensures lasting durability outside. Sign Bracket Store features 25 sophisticated color options; 5 available at no additional cost. For online orders, Barn Shade Gooseneck Lights come with standard incandescent lamping, or two upgrade options: compact fluorescent and metal halide. To capture the rustic look of traditional Barn Lights, add on wire guard and decorative globe accessories, also available online. For lamping options (LED and HPS), accessories or Barn Light Shade and gooseneck arm combinations not featured online, please call for details and pricing. 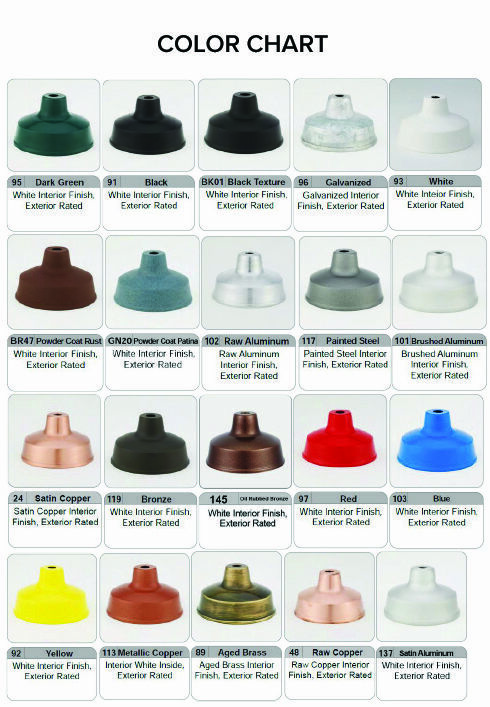 Incandescent Gooseneck Lights are wired for a maximum 200W bulb and install to most any standard 4" junction box: outdoor weatherproof, recessed round and octagon. Aluminum gooseneck lights are UL Listed for exterior use (US and Canada).